Thanks to Adly from Fried Chillies, we discovered this great Ramadan Bazaar. A little off the beaten track from the city versions, this is definitely worth the short drive on the highway to get here. One testament on how good a bazaar is for me, is when I return from the place laden with plastic bags full of stuff. With this place, it was not hard to hit that target, as we wanted to get everything we saw. There seems to be abundance of Kelantanese food stalls here - loads of them selling nasi kerabu, blue tinged rice sprinkled with dried fish flakes and chopped herbs. One lady even called hers nasi kerabu hitam (nope, it wasn't black but blue!). 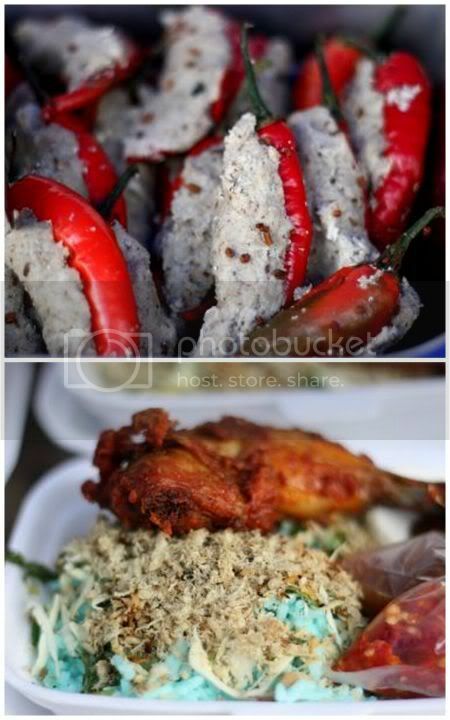 Since Kelantanese food was the flavour of this bazaar, you got a great variety of ayam percik, solok lada in all kinds of colours - light green to red! 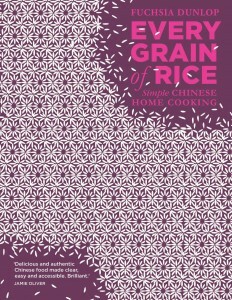 and etc. My favourites were the sweet stuff. 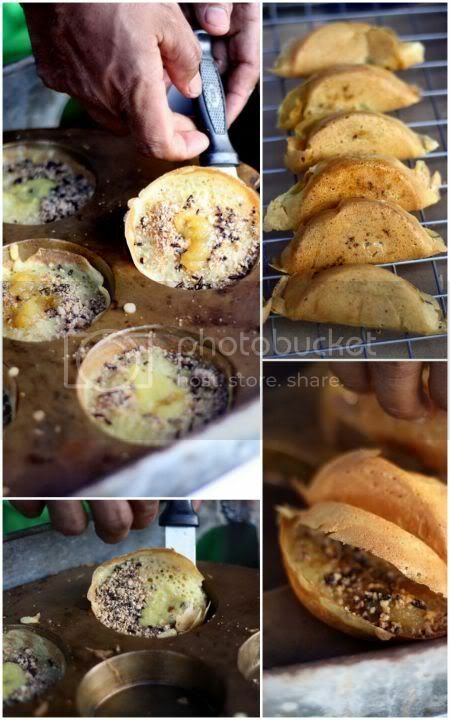 We discovered this mini apam balik stall - small cute crunchy pancakes that had unusual jams inside them like pineapple and rambutan jam. Really delicious stuff that seem to melt in the mouth. If you visit this place, do get those. It's 4 small ones for RM1. 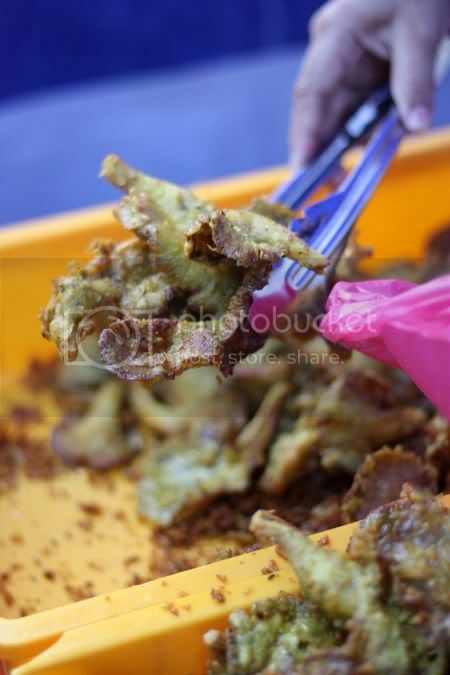 Remember I mentioned an abundance of Kelantanese food, it carries on to the sweet stuff and you find loads of stalls selling akok here. We stumbled on this stall we reckon must be good, since her akok was almost sold out even though it was early. 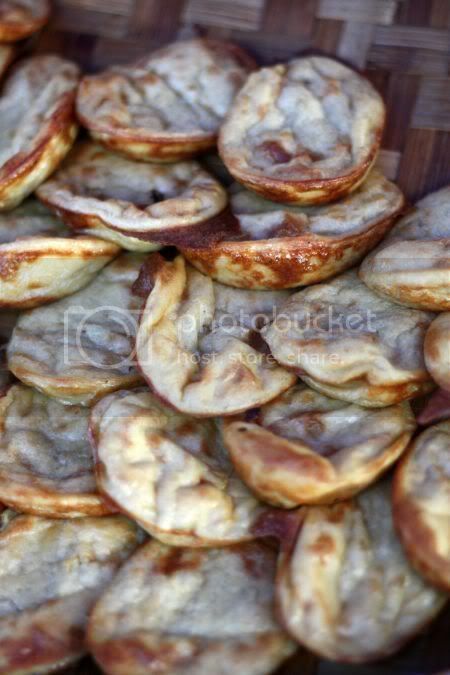 Well, we struck gold as the akok was definitely one of the best I have tasted. 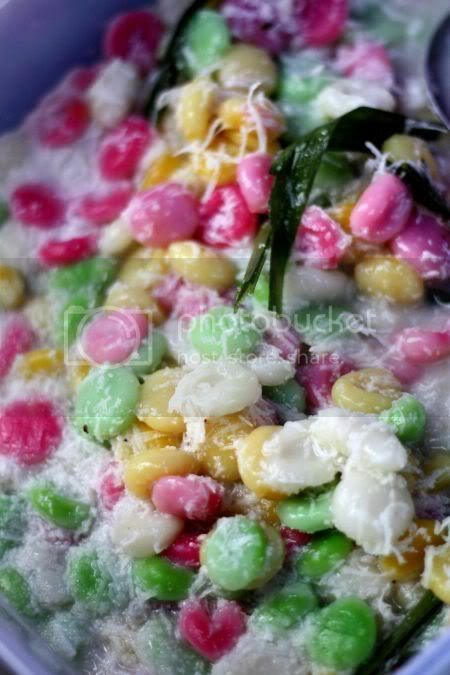 Soft and decadent with a rich duck egg and coconut milk taste. Gorgeous stuff that I could eat with loads of bitter black coffee to counterbalance the decadent taste. If you ever drop by this bazaar, look for Akok Pak Ali Serdang. Damn good stuff, I definitely won't mind taking a drive to get a taste of. 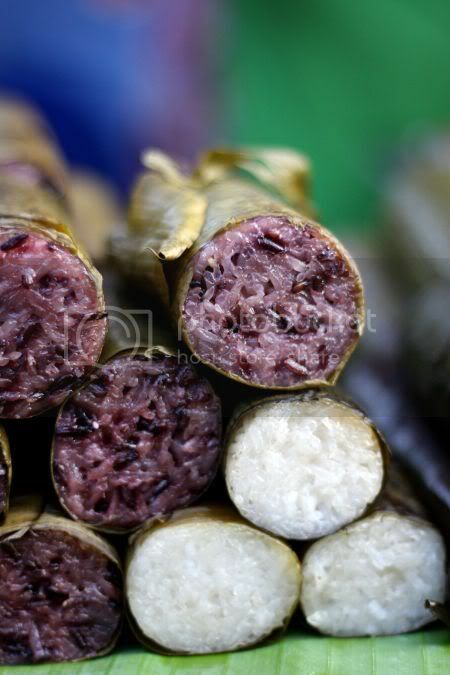 We also discovered this stall selling lemang including the very unusual pulut hitam (black glutinous rice) version. Couldn't resist trying that and it was good, not as chewy compared to the white version and a little softer but still very delicious. The most unusual stall was the beef soup one. 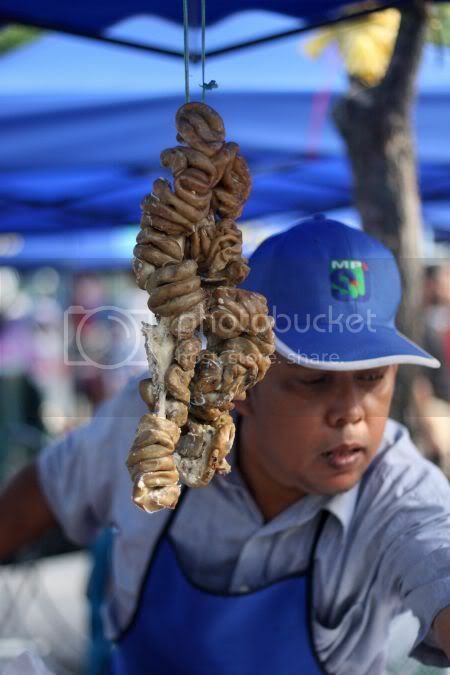 He was selling the soup with all bits and bobs of the cow - including the rarely seen intestines! The soup is gorgeous - kinda warms your toes and most importantly it tasted like beef soup. 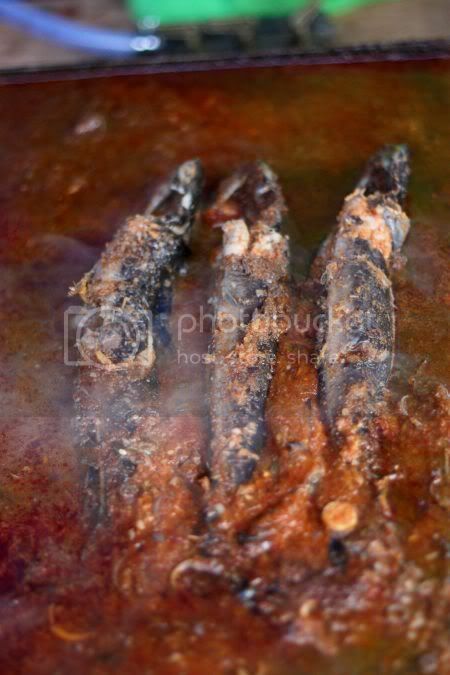 Some places seem to skimp on the beef bones they add, hence they taste more like dishwater! 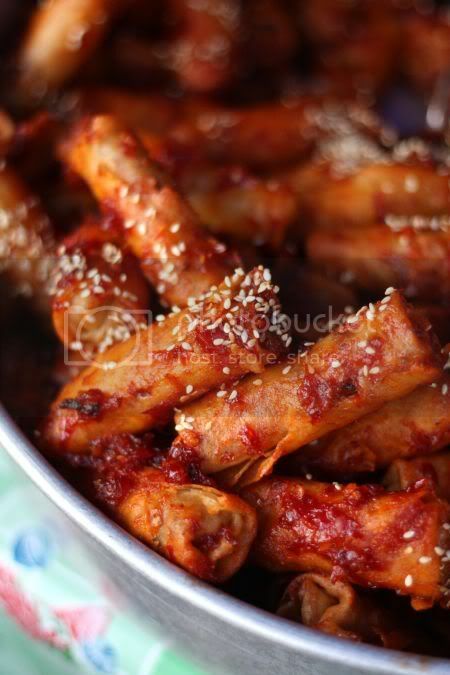 The intestines are kinda fatty though so one suggests, you ask for the mixed parts instead. We also found an unusual mushroom soup place that also served fried oyster mushrooms, which we bought a packet of. A little chewy, the mushrooms were coated with spices and tasted pretty good even when it was cold. Organic items seem to have found their way into bazaars. Yesterday it was organic sugar cane juice and today, it is organic ikan keli (catfish) being sold here. They were cooking the fish in a sauce, that didn't look appealing though. 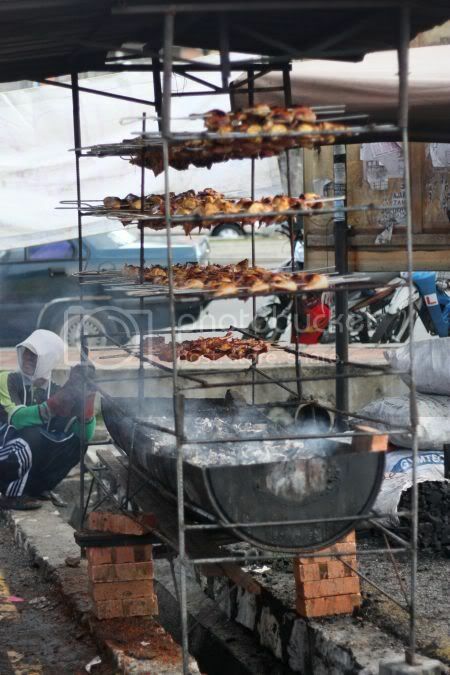 There were loads of stalls selling chicken being roasted in contraptions they had made themselves. One particular stall had their roasting area placed on top of a drain! That particular stall was quite enterprising and favoured by many, as they chopped the chicken in various parts to be sold. Great way to get just the chicken pieces you like. I tried the chicken wings (RM1.50 each) and they were delicious. Not too dry and juicy. The bazaar is under MPSJ, that seem to run the bazaars pretty well. They had one officer monitoring the situation and I liked how they had organised the smoky ayam percik and ayam golek fellas to one side, to prevent smoke getting into everyone's eyes when they walked past. Most of the patrons of this bazaar are from the nearby university (UPM) and we did see quite a few foreigners gawking at the stalls and trying to figure out what to eat. For me, the bazaar seems to have more home made items and it was not so commercial. Could see, most of the savoury food items were prepared at home and packed in plastic containers here. This place definitely gets my vote for best bazaar, that I have visited so far. Do make a trip down this weekend and check it out (since it is another long weekend especially for those who work in Selangor). You won't regret it. See my Flickr set for more pictures. 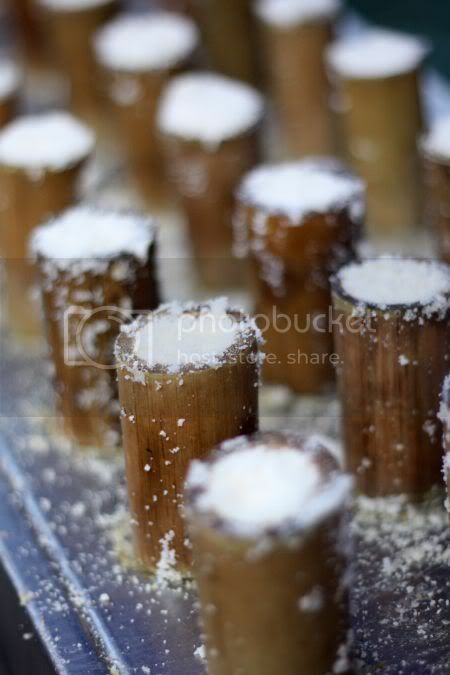 seilor.. everytime i log on i get hunger pangs.. lovely shots! thumbs up for the great shots, vibrant and delicious. 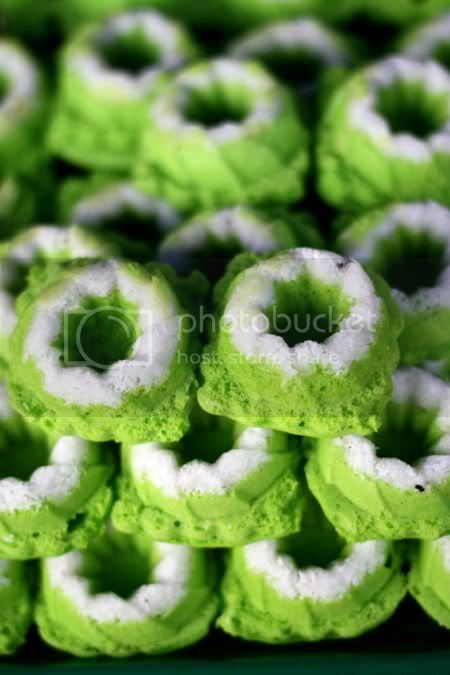 i like Akok as well, though during my 1st visit to Kelantan, i had doubts, fearing they'll be extremely sweet. The spirit of Ramadan!! Ah... hats off for covering so many ramadan bazaars :) although I doubt that I'll ever hit one in KL or Selangor. 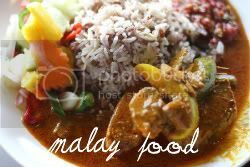 You drive all the way to Sri Serdang just to feast yourself with those delectable Malay food? Hi boo_licious, u take REALLY GOOD photos. I'm not an expert with photos, but may I know what camera are u using for these photos? 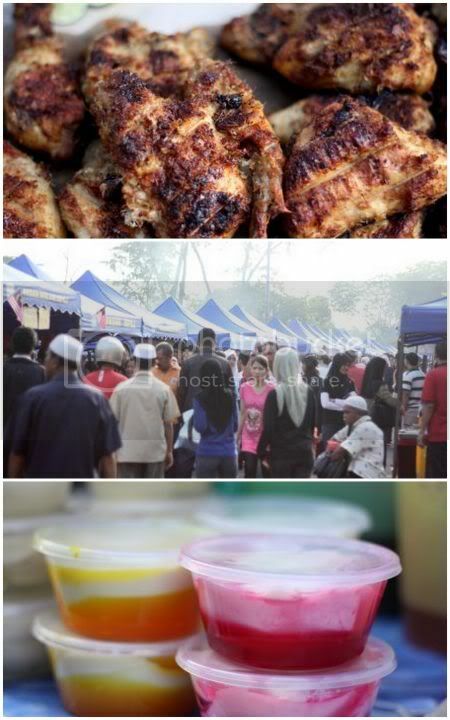 are you hitting the bazaar in TTDI or Penchala anytime soon??? 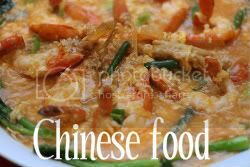 this bazaar's food are so special. Argggghhhhhhh. Cant stand it anymore. 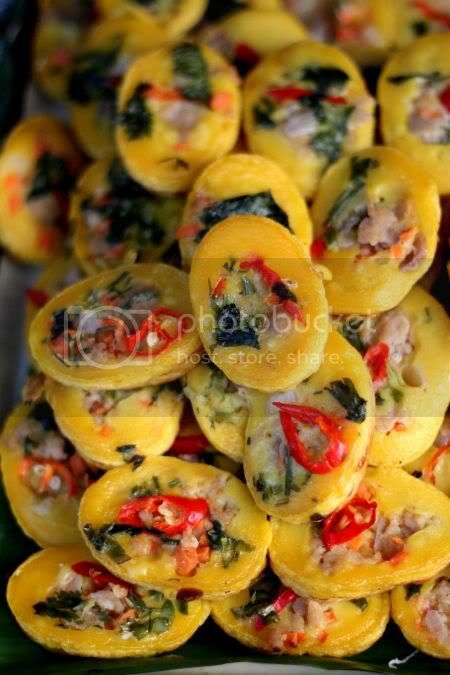 I want the mini apam balik, nasi ulam, solok lada n whatever drinks they have. This Ramadan Bazaar looks really nice! I like chicken roaster over the drain. I like the homemade foods you showed. Oh, I would like to taste all of the food there, even the catfish! Trully amazing shots! I can't stop drooling all over my keyboards!